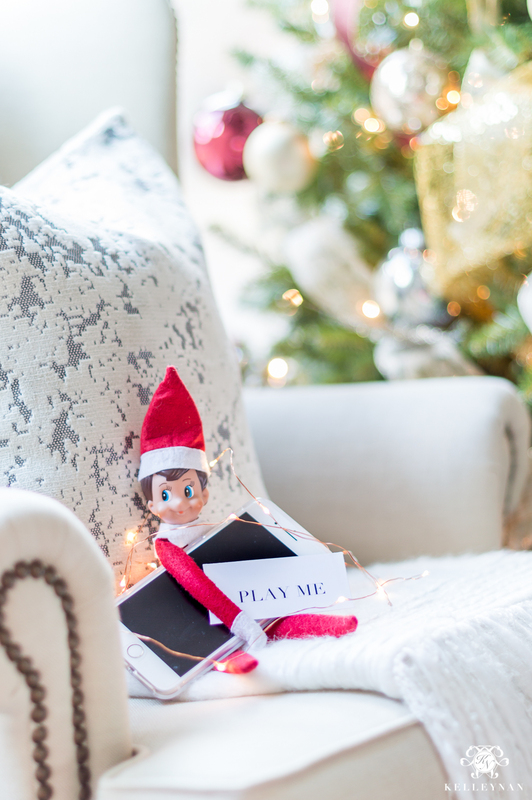 Elf on the Shelf Ideas for Adults – It’s Not Just for Kids! Elf on the Shelf isn’t just for kids anymore! 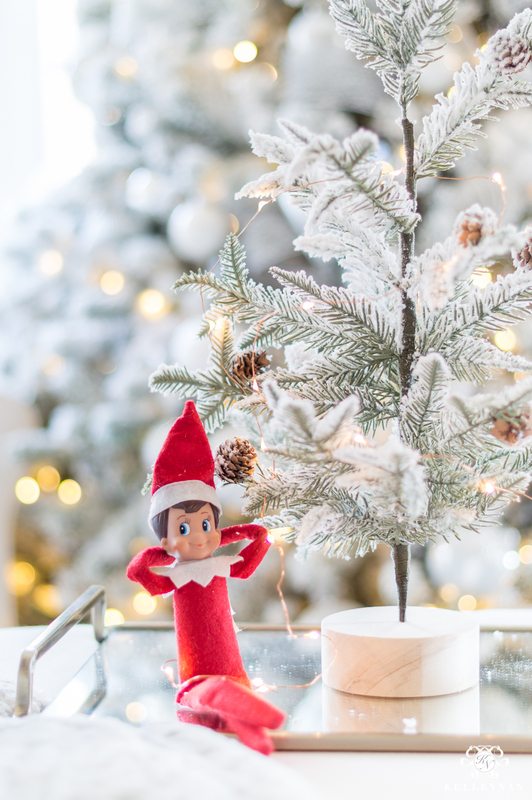 If you’re looking for a new fun Christmas tradition – whether you are without kids, your children are older, or you just want a way to bring a little holiday magic into your home – read on for 10 unique, original Elf on the Shelf ideas for adults. 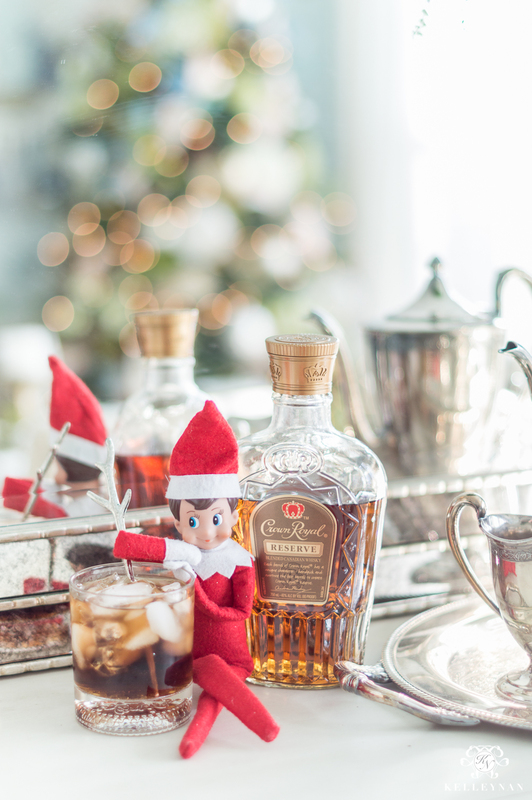 Kudos to all you parents out there who have taken on the Elf on the Shelf tradition with your kids. On one hand, I totally wish that was a thing when I was growing up! On the other, I so feel for you and the pressure that I would imagine far surpasses the occasional tooth fairy visit. Dave and I don’t have human children but that doesn’t stop us from coming up with ways to welcome some child-like wonderment into our Christmas season. 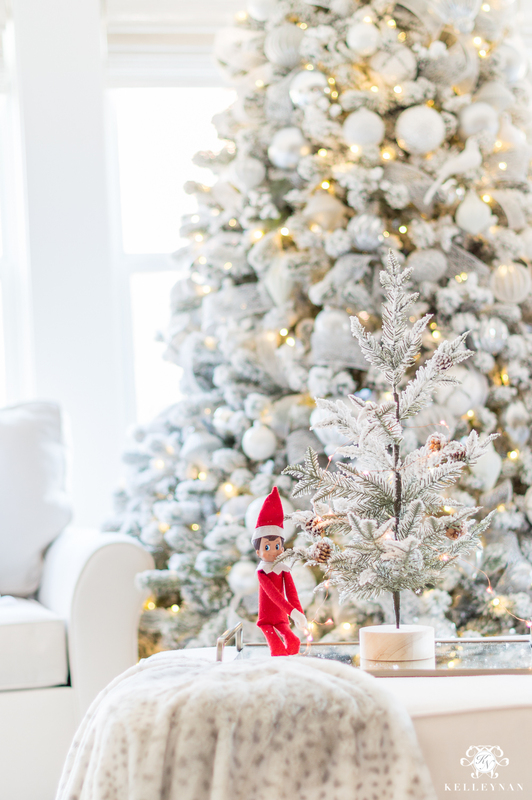 We bake and decorate cookies, Santa fills our stockings, and one of my favorite traditions – y’all, we have an Elf on the Shelf. Now, hear me out. Bubba first appeared a few years ago (yes, Dave named him haha), but it wasn’t in the same way that he visits children, monitoring their behavior and getting into mischief. Bubba emerged as a way to deflect the generosity, small surprises, and general Christmas goodwill that we do for each other during the holidays. Of course, it’s always important to show your spouse/partner how much you love and appreciate them regardless of the season, but small tokens of thoughtfulness at Christmas just seem extra special. So, bringing in the magic of Bubba is something we look forward to. And in the same fashion my mom would say “it wasn’t me- it was Santa!” after I would thank her for gifts, Bubba assumes the responsibility of the little holiday treats throughout the season. 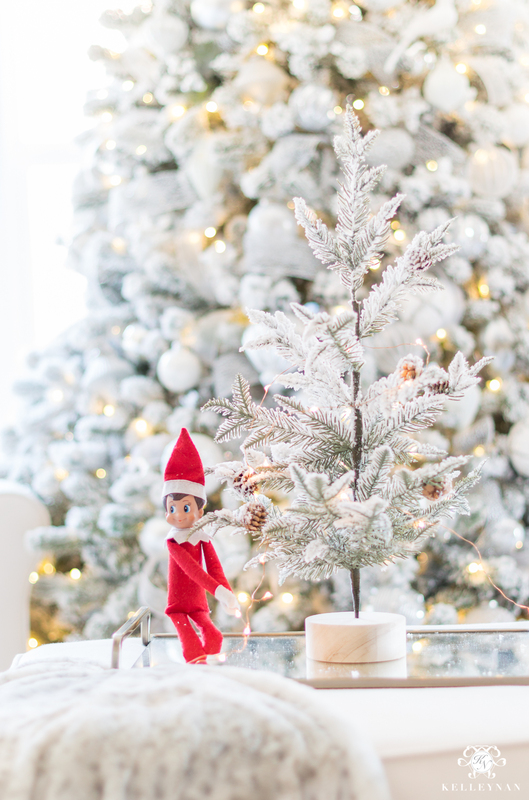 I love getting creative with not just material gifts, but acts of kindness; if you are considering taking on this tradition in your own home, here are some Elf on the Shelf ideas for adults to get you started! Surprise your person (that’s what we’re gonna call your husband/wife/boyfriend/etc. for the rest of the post 😉 ) with a bottle of their favorite liquor/wine/champagne/coffee/etc. 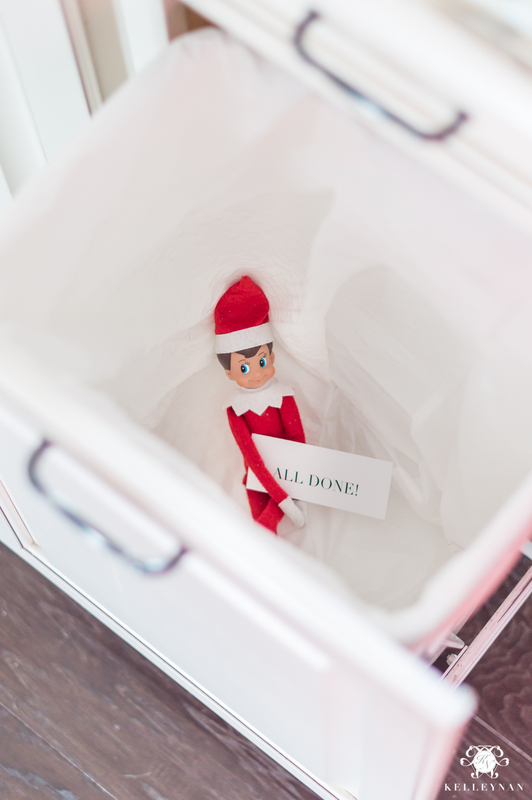 Have your elf set it up at a time/day appropriate time. Example- a cocktail would be perfect to come home to and find after a Friday at the office while coffee would be fun to wake up to during the week. We have a tradition to gift each other a new ornament each year. Even if you don’t and it’s a one-off, how fun is it to have your elf “deliver” a new pretty for the tree “Where’s-Waldo” style? Whether you leave a message in the shower or include your elf with a handwritten note in their packed lunch, this simple, sweet gesture is sure to get their day off to a fantastic start. Not every (or any, really) idea has to be grand but planning a small overnight/weekend getaway during the holidays would be something your person would always remember. And, it doesn’t matter where! It could be a hotel in your city, a cabin in the mountains… or maybe it’s not an overnight trip at all but a planned day out. Regardless, being whisked away during the holidays is an absolute winner. We don’t go to the movies often but it seems like all the best films come out around Christmas. Surprise your person by pre-shopping snacks (shh- don’t tell!) and tickets. Even better if there’s a movie they’ve been dying to see. They can come home to the surprise or wake up to it on a Saturday morning. The modern “mixed tape”, set up a Spotify playlist of your favorite holiday tunes that they can play on their drive/around the house. If they aren’t into Christmas music, you can modify it and create a playlist of their fav songs, songs that mean the most to the two of you, etc. 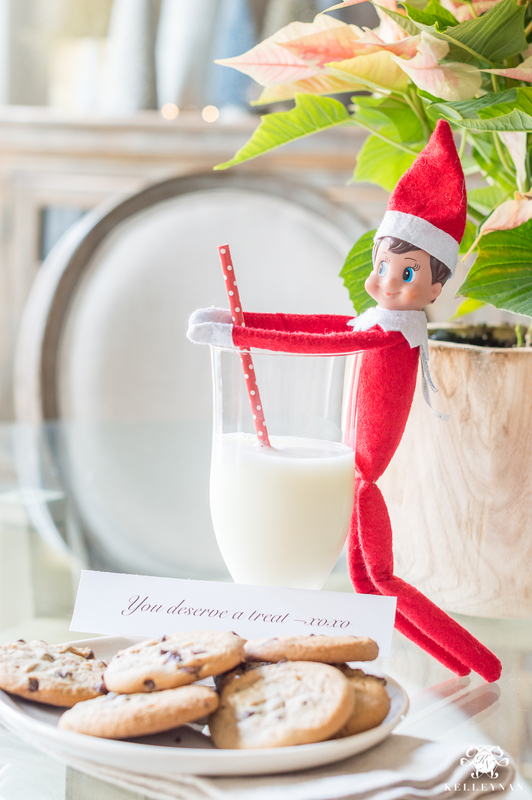 Whether your elf gets up early to make a pancake breakfast, runs out for a Chick-Fil-A biscuit, or prepares a sweet snack, this is an easy surprise that can be modified and repeated throughout the season. Your elf may even sneak into the kitchen and whip up a plate of nachos for some game snack while your person is watching football. 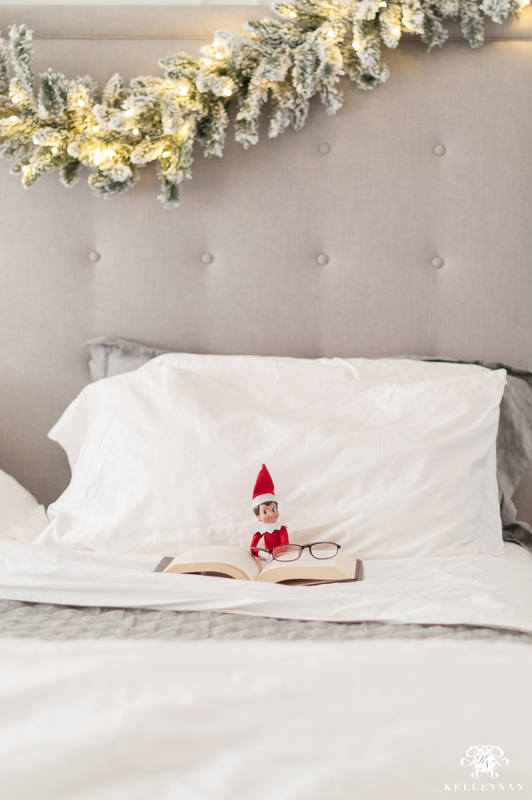 These Elf on the Shelf ideas for adults can be as simple or elaborate, inexpensive or pricey, and casual or frequent as you like. 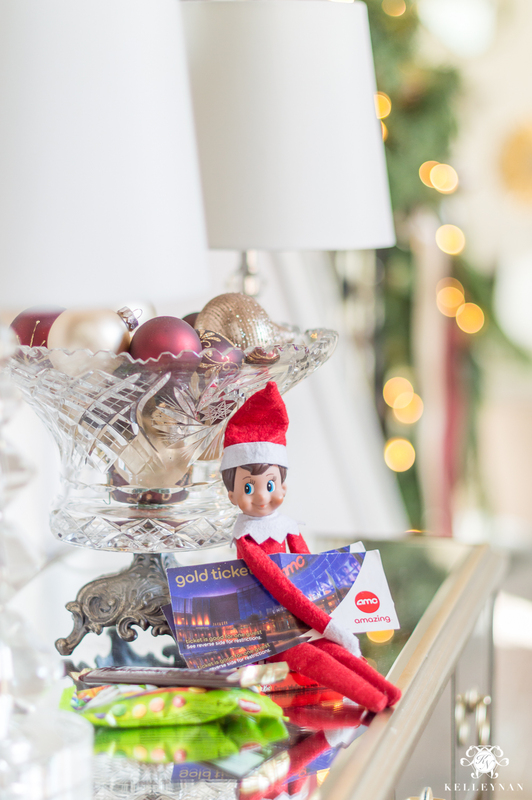 Your elf can appear every day or just a few times throughout the season. 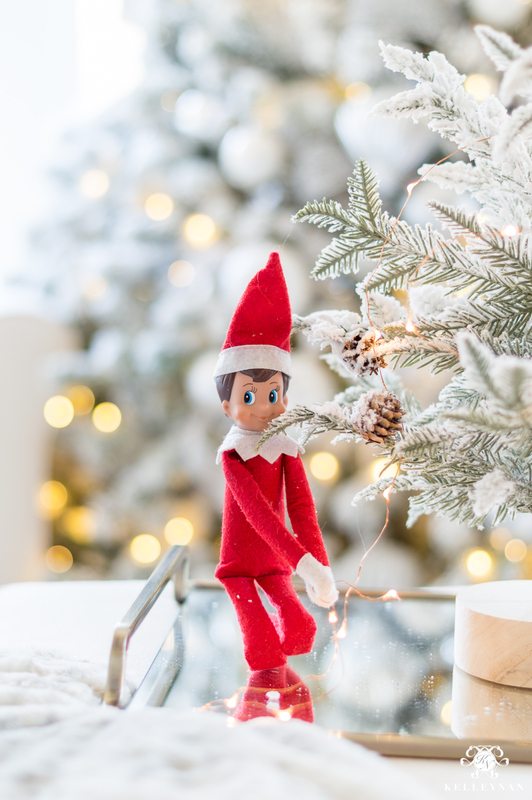 Even the small act of hiding the elf inside your person’s shoe will let them know you were thinking about them and unlike kids comparing notes to their friends, your elf can work at their own pace and each surprise will be considered special. You can find girl and boy elves of several skin tones HERE. If there is ever a time to have an excuse to enjoy small simple pleasures and a little child-like silliness, it’s now. Wishing you all a wonderful holiday season with as much Christmas magic and whimsy as you can stand. UMMMMM, these are the cutest ideas EVER!! Love you!! I love all of these cute ideas. Yes, Christmas is all about the giving, thoughtful things! OMG – how fun is this!!! Now I’m kicking myself for giving our Elf on the Shelf away a few years back once my kiddos weren’t too into it anymore. I can totally see how this would make the holidays just that much more special! Kelley Nan, you have hit it out of the park on this one! What a great way to say I love you, in so many ways! Home run girl!!!! Hugs! I loved every minute of this and the fun photos! Laugh out loud amazing fun! Great job. Very cute and it reminds me to take special care of your loved ones like we did when Love was new. Hey, I tried your ribbon trick with success on a small scale this year. Used reindeer moss, fern fronds and a few fake pink flower sprays. I think it adds punch. Not a work of art like yours but there is always next year. We are a no kids couple and have and Elf on a Shelf that comes to our house. Ours tends to be a bit more mischievous! I started this tradition a couple of years ago and every morning when my husband finds him and laughs heartily I’m so glad I did. Even if it does mean jumping out of bed for a “glass of water” aka “move the elf” at 11 pm. The holidays as we all know can be a very stressful time. This small gesture is a way to bring back some laughter and lightness into the mix. It’s always a good idea to start your day smiling and that’s what the elf does for us. HINT: I often spend a few (or more depending how elaborate the “scene”is) minute during the day setting it up on a tray. I put it away and then at night pull the tray out so I don’t often have to spend time at night sorting it out. I have been doing it now 3/4 years for my adult son. He enjoys it and I have fun being creative, only after I have fond something on pinterest. I love. This year I even made Christmas outfits for Elf and Elfie 2. Oh, that is awesome! I wish Bubba (our Elf) had outfits! Kellie! What a special post! 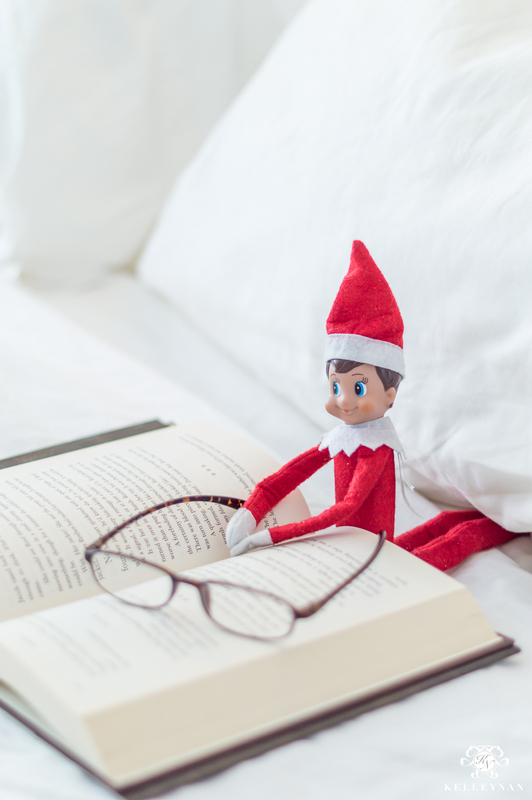 I am reading this a year after you posted it but I wanted to say thank you for giving so many ideas to use the Elf aka Bubba! This would be great for any age. I’m thinking about someone in the Assisted Living that would get a kick out of seeing a little Elf pop up inconspicuously. Thanks for the clever idea.